WAUSAU, WI (WSAU ) -- A local representative is happy to see the closure of the dark store loophole in Governor Evers proposed budget. Governor Tony Evers announced earlier this week that he would include a provision to close the dark store loophole that was the topic of several referendums throughout the state. 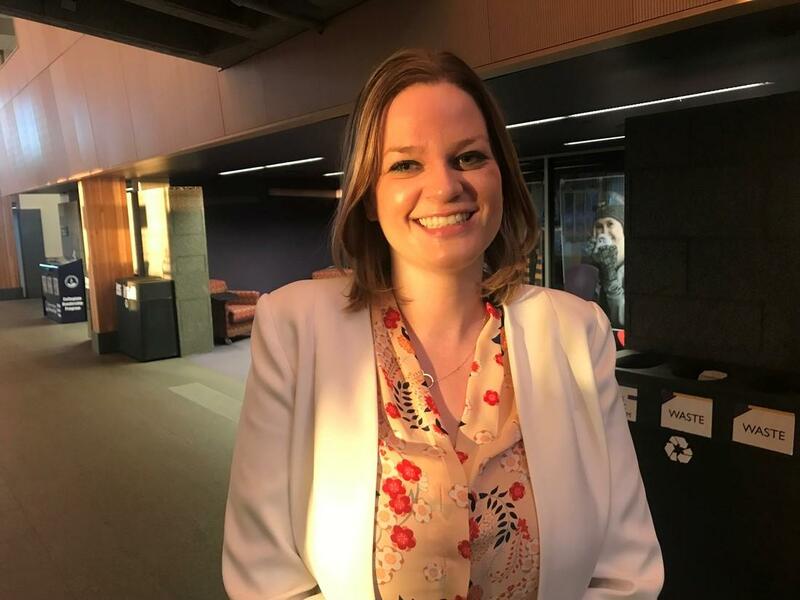 State Representative Katrina Shankland for the 71st District is thrilled that Governor Evers is proposing to eliminate the loophole. The Stevens Point native explains what the dark store loophole does for large retailers in regards to taxes. "The dark store loophole allows big-box retailers to base their tax assessment on the value of their store as a vacant store. Rather than a store that's in operation. This isn't how this works for anyone else." Retailers have spent vast amounts of money in recent years on lawsuits against local communities to keep the loophole in place. Shankland says that with this loophole residents are essentially subsidizing box store retailers for their lawsuits. "What we're seeing is these really large corporations that have national retail chains spend millions of dollars challenging these assessments in court and winning. And then our local municipalities have to make up the difference. And what it means is homeowners are actually subsidizing these national retail chains." Shankland feels the loophole creates a fairness issue for communities and their property taxes. "I think this is a fairness issue. We need to make sure everyone pays their fair share. And passing this bill would provide meaningful tax relief to homeowners and small businesses in Wisconsin." Eliminating the loophole would force major retailers to have their property evaluated as a store in operation, not as a vacant as is currently the law. If the loophole is eliminated Shankland says retailers will have to pay their fair share of property taxes. "We're going to see the property tax burden no longer being shifted onto homeowners and small businesses. And having these national retail chains pay their fair share." The loophole elimination would still need to be debated on and kept in the budget by the legislature. Shankland is hopeful it will remain in the budget from the multiple referendums in November that indicated citizens want the loophole eliminated. "Hopefully in that time, legislators will hear from their constituents on this issue. And they took a look at the results from all the referenda all over the state which passed overwhelmingly. It's clear that people want us to do this and I hope that legislators follow suit." The Wisconsin Legislature is expected to hear from Governor Evers on his budget starting February 28th. If the loophole elimination survives debate in the legislature it would be eliminated when Governor Ever signs the budget sometime in the fall.